2017 Lowe 1467 WT Utility V Reliability and value are the name of the game with the Utility-V 1467 WT. 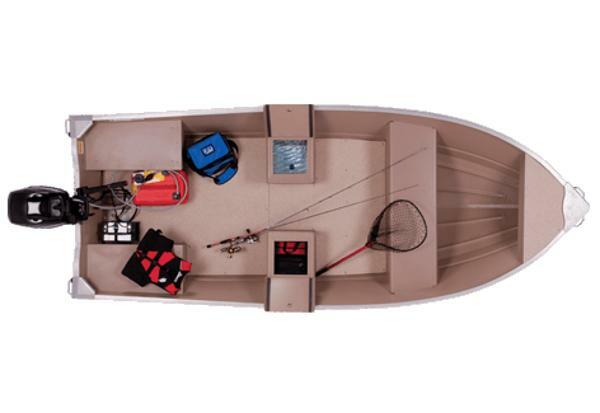 Important features include heavy-duty extruded receiver gunnels and spray rails, 4 heavy-duty keels and a full-length center keel, an aluminum-clad transom with drain plug, split stern seats, a split center bench and a full forward bench. 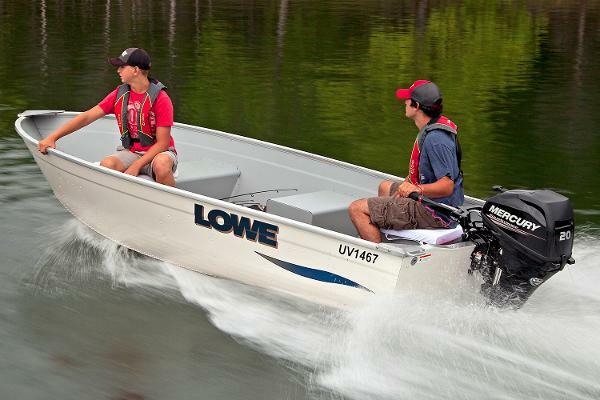 With 45 years of proven boat-building experience, backed by 26 Customer Satisfaction Index Awards, look no further than Lowe Boats for a top-quality, versatile and affordable aluminum fishing boat. Please note: This boat model may or may not be in-stock. A Nationally Advertised Price, if listed, may change without notice or include accessories not fully described herein. Please contact your local, authorized dealer for exact details on model availability and package pricing. 2016 Lowe 1467 WT Utility V Reliability and value are the name of the game with the Utility-V 1467 WT. Important features include heavy-duty extruded receiver gunnels and spray rails, 4 heavy-duty keels and a full-length center keel, an aluminum-clad transom with drain plug, split stern seats, a split center bench and a full forward bench. With 45 years of proven boat-building experience, backed by 26 Customer Satisfaction Index Awards, look no further than Lowe Boats for a top-quality, versatile and affordable aluminum fishing boat. Please note: This boat model may or may not be in-stock. A Nationally Advertised Price, if listed, may change without notice or include accessories not fully described herein. Please contact your local, authorized dealer for exact details on model availability and package pricing. 2015 Lowe 1467 WT Utility V This boat model may or may not be in-stock. Please contact your local, authorized dealer for more information. Standard package includes your choice of Mercury® outboard (up to the boat’s maximum rated hp) * and an optional custom-fit Lowe trailer selection. Important features include: Vinyl covered IronClad™ plywood floor, Polar White painted exterior with a tan painted interior, all-welded hull seams, heavy-duty extruded center keel with 2 formed in bottom keels, formed in spray rails, beefy traverse and longitudinal ribs, aluminum clad transom with three heavy-duty formed transom knees, extruded gunnels, extruded bow stem, stern corner castings with handles and bow casting with handle, split stern seats, split center bench and a full forward bench.